Showing results for tags 'ten thunders'. Hi guys, so I'm shamelessly stealing @retnab poll from the Arcanists for you to fill. To get some overall feeling of the keywords you are happy/unhappy with PS : You can select more than one option. PS2 : You can even select every choices ! I'm planning on getting Lynch to add to my collection and was wondering what i should buy to go with him to play him as a ten thunders master. So far the plan is to get his box, Mr Tannen, Mr Graves and Gwyneth Maddox but other then that in stuck. Has anyone got any suggestions? Searched a bit, didn't found anything that could satisfy my curiosity. So here I am, asking you: what's a typical Yan Lo build? What's his general plan? What is he supposed to do? I see him (looking at cards) as a bruiser that can disrupt your opponent's plans. Am I wrong? Help me understanding my new Master for a virtual hug. Last game against Ramos made me think on what are our choices against him, but even other Summoners in general. Kang can be good, as many summons are Construct or Undead, Taelor can be another choice (now with the price drop), but do we have an effective way to take care of markers (countering in this way Reva too) or multiple models like Arachnids at the same time? What's your Strategy to avoid being out-activated? Wanted to start a discussion about what changes or wishlisting we'd like to see inside the Faction. Spreading ideas is never a bad thing. 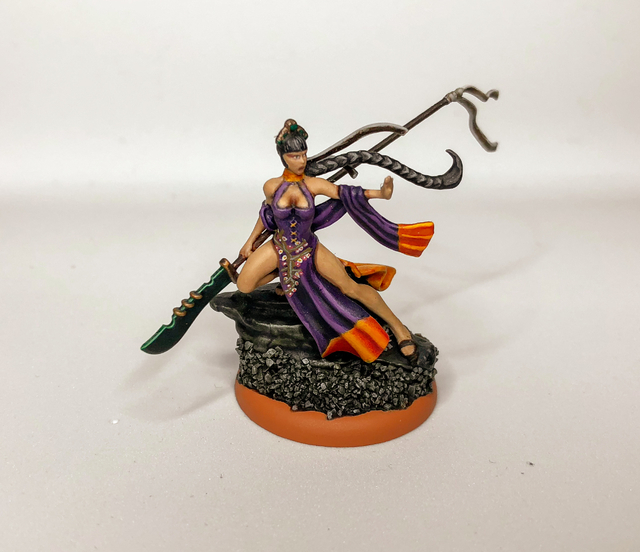 I will start with a list of models I regularly play or own, and everyone can add their preferences: The Brewmaster: add him Infiltration Tri-Chi, change some of his Upgrades into something useful. The Good Stuff is just horrible. Ama No Zako: she wants to punch stuff, Ml 6 will be enough. 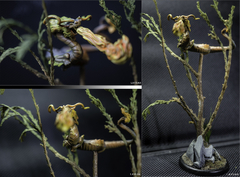 Sidir Alchibal: one of my favorite models in the Faction, I just don't know what his role is supposed to do. Slow, no tanking abilities (but he wants to tank, medium base + By Your Side), his damage output is nothing to write home about. Probably, the best choices for him will be Bulletproof +1 and/or Hard To Kill. Guild Pathfinder: stripping out the suit from his Set The Trap ability, done. Monk of High River: damage spread up to 2/3/4 or a longer threat. The cost reduction was good tho. Tengu: Df and Wp 5 maybe? Thunder Archer: Df 5, good cost right now. 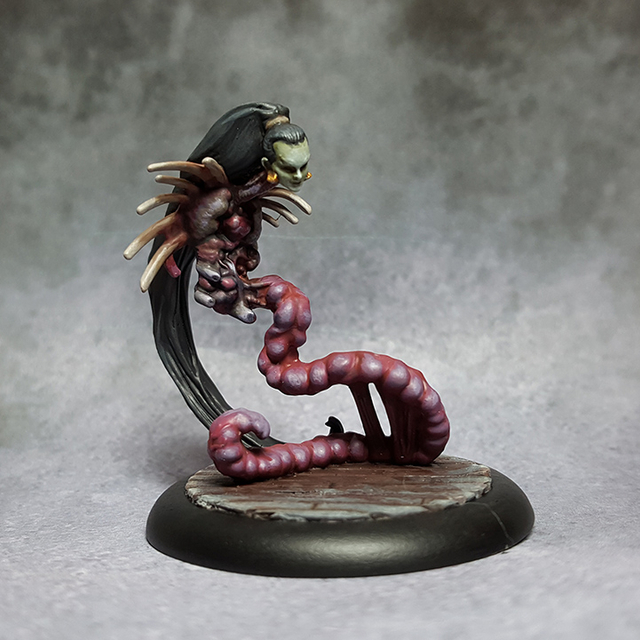 Wastrel: oh Jesus, lovely models, but here there's a lot to do in my opinion. They can walk to get Defensive +1, but with Df 4, it doesn't seem a strong deal. They're on the slow side, so they can't run efficiently (except for the trigger on Cast-Offs, which I consider an incredible ability), they can't tank enough, and they're damage spread is good just thanks to two triggers from a 2 Ap Action. They can be a lot better than this, just with some devices. What are your ideas guys? What would you like to see? So I've been considering making a TT crew with Huggy for an upcoming local HH tournament. I have the 3 models pretty much locked in, but can't decide on the final slot for 8 points. 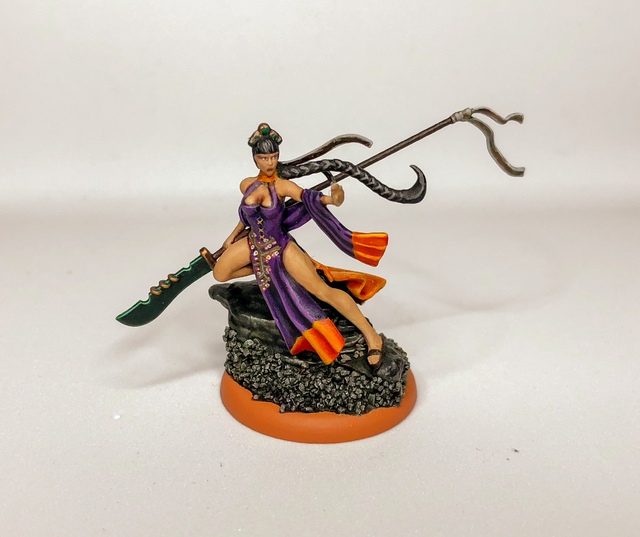 This is my 'core' at the moment: Hungering Darkness + Hidden Agenda Oiran - 5 Illuminated - 7 For the 8 point slot I have the following 4 options (based on the miniatures I own): Samurai (which favor to take? I'm leaning towards Earth) Lone Swordsman Yin the Penangalan Mr. Graves What would be your pick? When using Gwyneth's Come Play at my Table, it specifies that "the model's controller may place it into base contact", so you can also choose to not place models that failed. But when do you have to choose? 1) All models take the WP test, and then you choose who to place out of the ones that failed 2) Each model takes the WP test, after each one fails you chose to place it or not 3) All models take the WP test, choose whether to move all models that failed, or no models that failed. 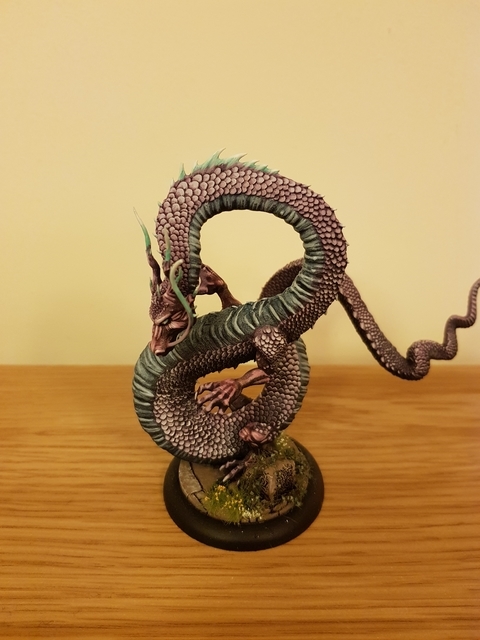 I'm going to preface this post by apologising for asking what might seem like an incredibly stupid question - Although I have been wargaming for around 26 years, I am incredibly new to Malifaux and the use of playing cards and suits, whilst a definite breath of fresh air, is a whole new ball game for me, so... I'm curious about the use of suits in TN - The example that came up in my first game was in the casting of 'Lure' by my wife's Oirans. The target number is given as '12 Crows/Masks', but the initial CA value is '8 Masks', so my question is, does this mean that (A) to be successful the player has to flip either a four-or-higher in Masks or a 12-or-higher in Crows, OR (B) the player simply needs to flip a 4-or-higher in either Masks or Crows (as an 8 and Masks is at least provided by the CA). We played it as option (A) as this seems the most logical/obvious answer, otherwise, it appears to be far too easy to cast 'Lure' if you just need a 4-or-higher in either Masks or Crows, but we wanted to double-check we had understood the interaction of suits correctly. As I say, potentially stupid question, but any patient assistance greatly welcomed! Don't get me wrong, I love the guy and take him in about half my lists, but does anyone else realize that there's a massive error on his card? He's a mercenary. A mercenary that can be hired by the guild, neverborn and....the ten thunders? The crime syndicate which supposedly burned down his village in the fluff? The secret society that he swore vengence on and fuels his desire to be an action hero? It doesn't sit with me. Lazarus has "hate the maker" which makes it so he can't be hired by guild, why can't Burt have "Fear the thunder" or something similar.